Color Color Color! Discover the ancient art of enameling, the process of fusing colored glass to metal. 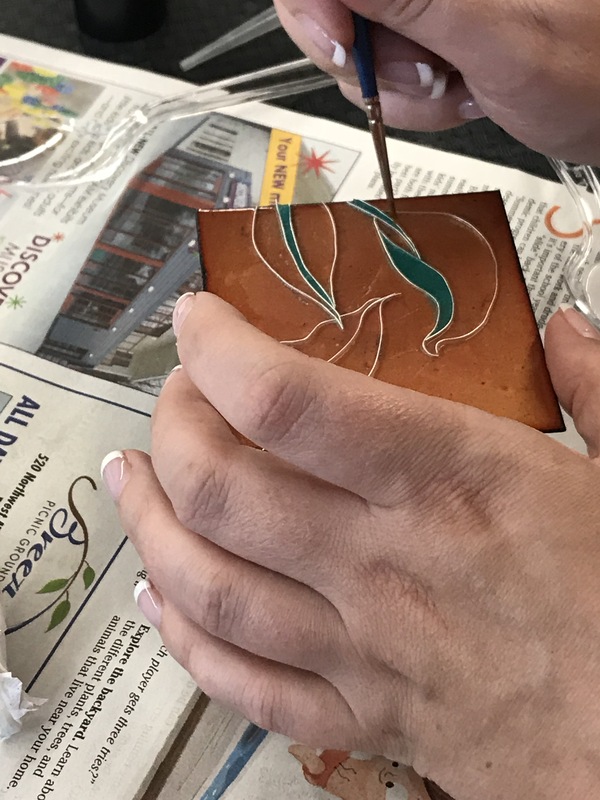 The WCC offers a professionally equipped enameling studio for students to explore a variety of techniques. Students will learn metal preparation, kiln properties, firing methods, along with dry and wet applications of enamel. A variety of fun and traditional techniques include but are not limited to sifting, painting, basse-taille, decal transfers, cloisonne, and champleve. This is a fast paced class where experimentation is encouraged. This course welcomes beginner and intermediate enamelists. Students will learn new skills and expand knowledge with hands on experience in this six-week class. *While some initial materials are included with the mandatory materials fee, additional colored enamels will be available for purchase in class.